Nations Press health Here are 6 Reasons Why You Need to Start Putting Ice on Your Face!Totally Amazing!! 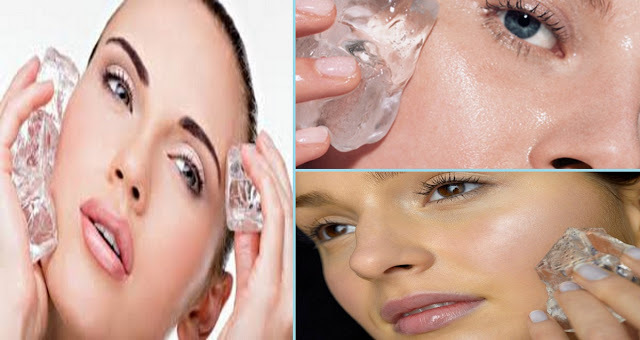 Here are 6 Reasons Why You Need to Start Putting Ice on Your Face!Totally Amazing!! SPONSORED LINKS Put ice on your face and see the amazing results! Face icing has become a popular trend especially for beauty gurus around the world. Its purpose is to acquire better looking, smooth and clear skin. In addition, it has been confirmed by health professionals that skin icing is able to refresh the face, prevent the formation of wrinkles, fight acne and blemishes, improve blood circulation and give the skin a healthy complexion. It is an amazing technique which has long been used for several years in spas and skin care treatments because of its numerous skin benefits. Now, we are going to show you how you can do it at home and improve your skin quality, without spending hundreds on expensive spa treatments. Skin icing improves the blood circulation, which give your face a healthy natural glow. Skin icing can help reduce the blemishes, pimples, redness and skin inflammation. You can treat acne as well by applying ice cubes directly on them. Just place an ice cube and hold it for a few seconds until the skin gets numb. Repeat the process every other day, before you go to bed. A combination of cucumber juice and frozen water can be use under your eye circles. Dark circles can be caused by a number of reasons, but whatever the reason, this technique will help you eliminate the puffiness. Skin icing is a cheap skin toner and works great. You can use this before applying makeup as the pores underneath the makeup are minimized which leaves your foundation smooth and flawless. Using skin icing regularly will ease the sign of aging, reduce wrinkles and prevent the appearance of new ones. • When you apply the ice cubes it’s recommended that you use gloves so that the cubes won’t melt right away. • You can use a cloth or apply the cubes directly you’ll get the same result. • Don’t place the ice straight from the freezer. Wait a minute or two before applying them on your face Extreme cold can damage the small capillaries under the skin. If you already have damaged capillaries this technique is not recommended. • The recommended period for this treatment is 15 minutes. • To improve its effect you can add some water with rose water, lemon juice, chamomile tea, green tea, cucumber or any other beneficial fruit or herb. Mix it up and freeze it and give yourself the ultimate spa experience!